With nearly two weeks hanging around in Koh Tao, I’ve eaten my fair share of food, naturally drank a few beers, and done plenty of activities. Whether that’s climbing rocks to awesome view points, lying on the beach, eating, drinking, dancing and of course, DIVING – there’s something here for everyone. As for beaches, rent a motorbike and explore the Island, or if you’re like me and don’t fancy riding those hills, you can walk to most of them. Freedom Beach, Taatoh Beach, Tanote Bay (has a great jumping rock), Shark Bay (you have to pay to enter a resort here though, 100B), Sairee Beach (great for sunset), Mango Bay (snorkel spot). Diving and beaches go without saying. 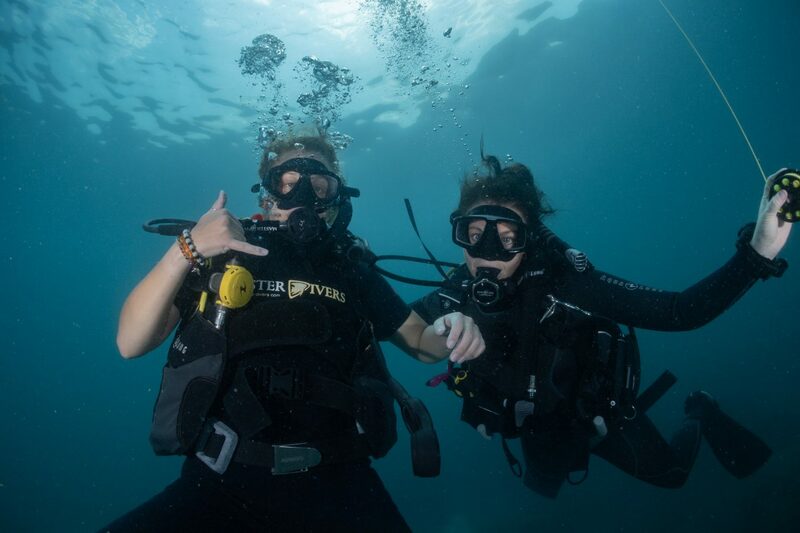 There’s so many dive schools to choose from, and a few different certifications you can do. I chose Master Divers for my discovery dive and then loved my instructor Katie, so she did my Open Water with me too. Top Tip: There’s a set price for all diving activities on the island (e.g. 11,000B for Open Water at every school, 10,000B for Advanced Course) . Find a school, and make sure you’re comfortable with your instructor. Bam Bam; Up the hill from the pier, tasty Thai food at a very reasonable price. I’ve been loving their yellow noodles with tofu and pad Thai. Price £. La Carotte Qui Rit; Delicious vegetarian restaurant on the “down road” not too far from the pier. Big soup portion, delicious fresh spring rolls. Price ££. Maruay Thai Food; En route to Freedom beach, this little Thai spot has very, very tasty veggie spring rolls. Price £. Pizza Da Lorenzo; Biggest pizza I’ve seen in a LONG time. Delicious. Also tastes good cold if you can’t eat it all in one sitting (I couldn’t). Price ££. Yang’s Big Restaurant; Plenty of choices of Thai and Western food. I can speak for the big noodles with veg, really nice. Price £. Baracuda – Rumour has it, great for seafood. Price £££. Baia Burger – “The best burger I ever had”. Price £££. Aroi – Try ‘spicy mama’, vegetables, noodles and spiiiice. Price £. A mountainous landscape and hills aplenty can only mean one thing – great views. 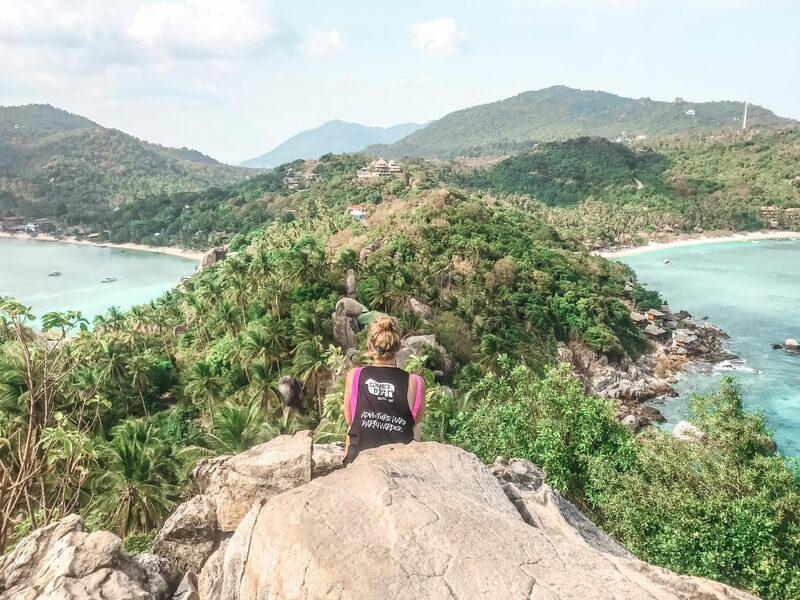 Walk or motorbike your way to the top, scramble up rocks and take in the sweet views of Koh Tao’s beaches, surrounding sea and luscious green jungles. John Suwan; Best view point IMO. See two beaches / bays for the price of one. 50B to climb – worth it. Sunset View Point; Sweet view over Sairee Beach. Buy a drink and see the view for free. Nice for sunset I assume, given the name. High Bar; The name gives it away, it’s high up and therefore there’s awesome views. Drinks and more… (clue is in the name 😉 ). Deisha view; Cheeky view over Chalok baan kao bay. I went at sunset, but I’ve heard in good faith this is great for sunrise, given it’s positive on the island. Through the resort and up some rocks, FREE! Love Koh Tao; Another spot for sunrise. My favourite comment about this is from traveltomtom.net, I quote “Having a one-night stand? Surprise him/her in the early morning with one of the best things to do in Koh Tao and take them up to this romantic spot, for sure he or she will love it! And isn’t it romantic? ;)”. Hahaha can’t speak for this but I’m sure it would be a lovely wake up call given its a 1.5 hour hike from Sairee. Two View; Sunset views over Sairee beach. Similar to Sunset viewpoint, buy a drink and get the view for free. You can ride a bike up the hill from Sairee but then there’s a 3km walk through the jungle. Worth it though. Other viewpoints I didn’t get to visit are; “the Highest View Point”, Chalok, Mango Bay (100B) – check out traveltomtom’s fave views too and see their locations on the map below. Fishbowl; Commercial and pop music. Sairee beach front, dancing and beer pong. Warehouse (Factory); Dark techno, only open Sundays. BND; Deep house, Latin party on Wednesdays. Sairee beachfront, fire dancing every night. WTF Bar; Chilled vibes, stays open late if you wanna carry on your night. Also shows sport, handy to keep up with European footy. Leo Beach Bar; Techno. Sairee beachfront, more locals than tourists (both Thais and Westerners that live here). Daily fire dancing. AC Beach Bar; Trance music, parties on Saturdays. Luxurious beach club vibes, with good prices. Volleyball every day around 5pm too. Fellow’s Boat Party; Every Saturday the boat tours around the island. Included for 600B get fruit and a BBQ, DJs and three snorkelling stops (masks available on board). Watch the sunset and then party on after the boat trip ends. Other random parties; Keep an eye out for other parties happening ad hoc. 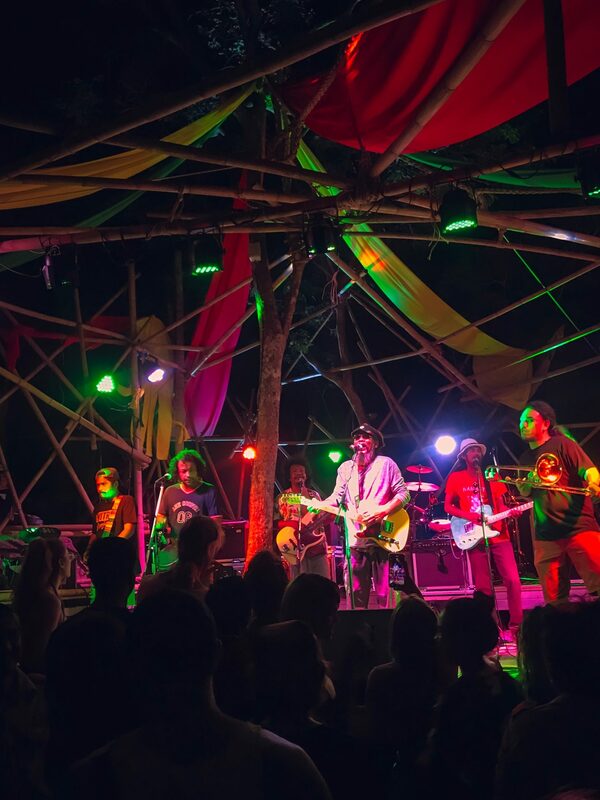 On my first night I went to a Jungle Reggae party with Thailand’s reggae artist, Job2Do – super fun and there’s plenty happening across the island each week. Check out the latest post on Chiang Mai.